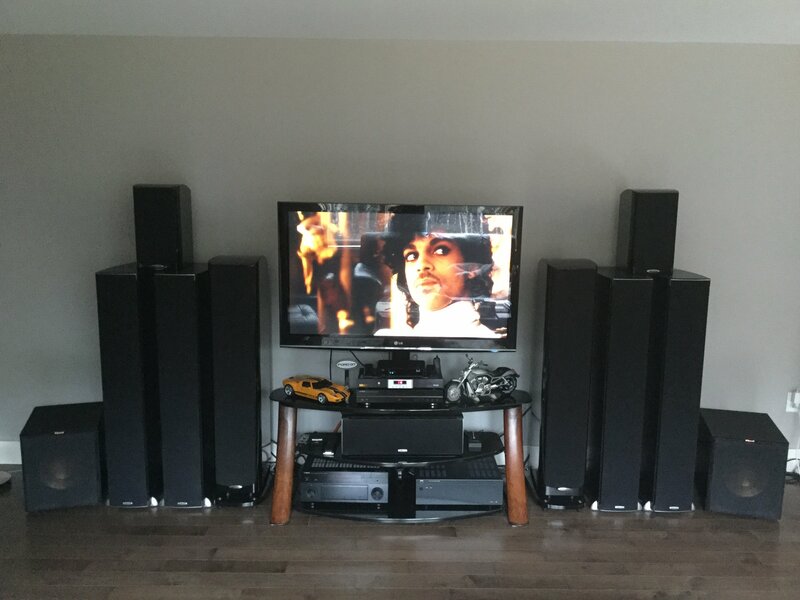 hi all, I'm running a pair of Tsx550t and an old Yamaha centre speaker and want to upgrade. Just wondering if I should stick to the tax series or could I go for the csi a6 or ...?? any thoughts would be appreciated, cheers. Just wondering if I should stick to the tax series or could I go for the csi a6 or ...?? any thoughts would be appreciated, cheers. It's usually best to stay timbre matched within a series...…...but right now I'm running an LSiM center with RTiA speakers and everyone is playing together just fine. I run a CSi-A6 with Signatures plays fine. I am also using a modern AVR with Audyssey calibration which EQ it in well. I am a little surprised to see that folks are happily mixing the LSiM and RTiA series, but I am not surprised to see the rest of Polk mix and match, like the RTiA and signature. I am even using a Polk center with non Polk speakers, and it doesn’t bother me at all. I would say get the CSiA for sure, much better center. Be surprised not my off balanced polkness, but embrace the madness that is aloof and be glad for the happiness!!! I had a CSiA6 with various main speakers none of them in that series and I thought it sounded great for movies. In my limited personal experience, I don't think that timber matching is that important for movies. And believe me, I am quite limited. Multi-channel music may be a different story but I am not so much into fiction. A little late to this discussion but I will add another plug for the CsiA6 for centre use. I am using mine now with a pair of Lsim707's as front mains & 703's for front presence and the A6 is doing just fine. I do want to eventually get the LsiM706c when I can get my hands on one but I am in no rush due to the performance of the A6 so far. I am using mine now with a pair of Lsim707's as front mains & 703's for front presence . Wow, if you've got A9's and 707's up front together, that's got to sound pretty bad A$$!!! That's what I see in your signature anyway, has it changed?? I don’t have the A9’s hooked up at the moment. Just the 707’s, 703’s and A6 plus the 2 subs. No rear channels either. I have everything in a temporary location to the side of a sitting room. The basement is unfinished in my new home so once done I plan to get more amp’s to power them up and use the 707’s and the NAD for a 2 channel. Those 703’s sitting on the A9’s will get dedicated stands once in a permanent location. Have you ever employed the "wide" channel? I have used two different bookshelves but when I went with a tower, my world changed. On set up, I had the mains toed in and the wides pointing straight...….what an incredible sound. Anxious to see your arrangement once it's completed.